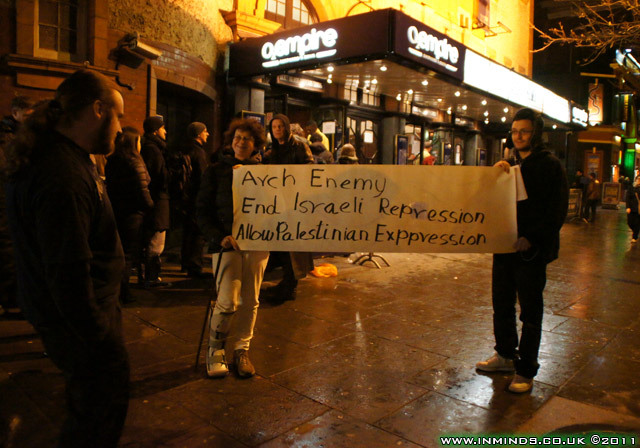 On 6th December 2011, Palestinian rights activists picketed the O2 Empire in Shepherds Bush, London where the heavy metal band Arch Enemy were preforming. 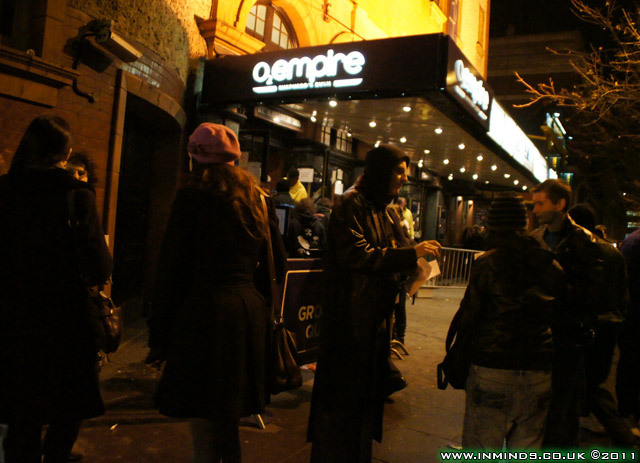 London was the first venue on their European tour which takes them to the Barbie Club in Tel Aviv in Israel on 24th January 2012. 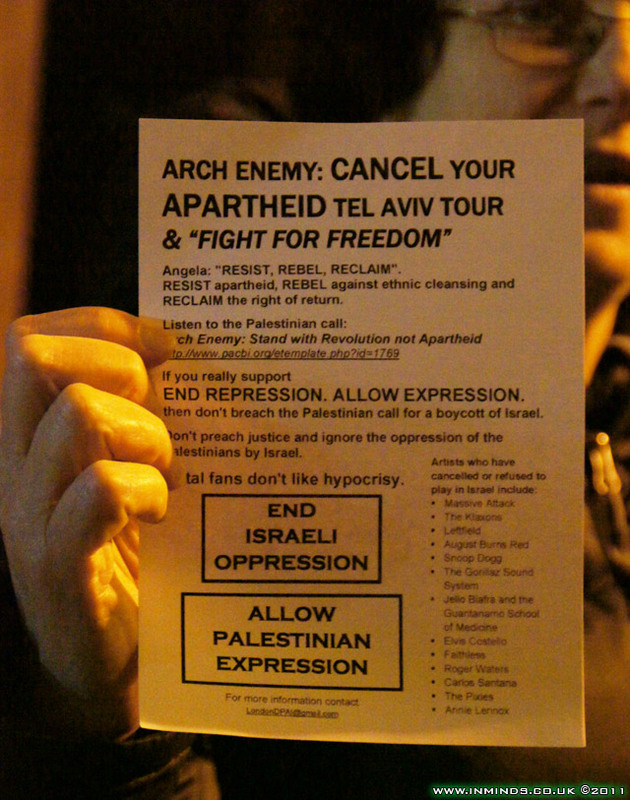 There message to Arch Enemy was simple, respect the oppressed Palestinians and their call to boycott Israel, cancel your apartheid tour. 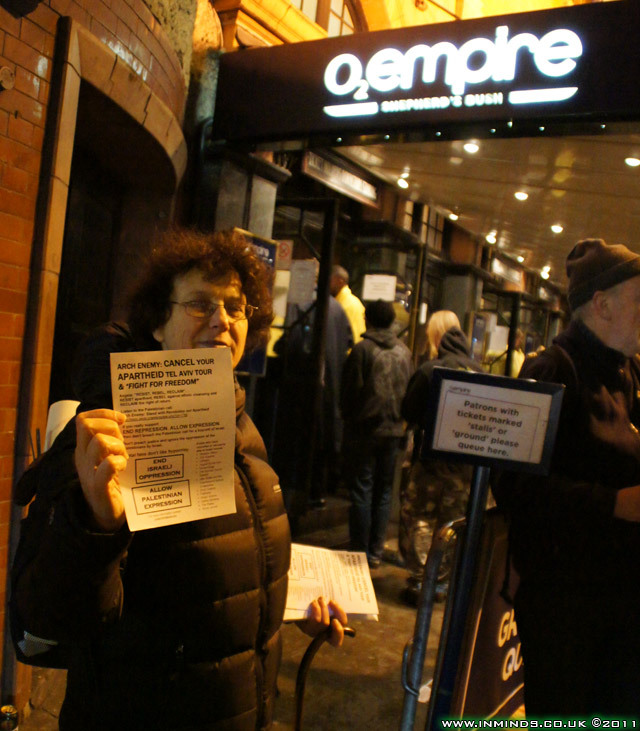 A video and photo report of the picket and background to the campaign are given below. Inspired by the triumphant cultural boycott of apartheid South Africa, and supported by key Palestinian unions and cultural groups, the Palestinians have issued a call for cultural boycott of institutions involved in Israel’s occupation and apartheid.. and are appealing to international artists to refuse to perform in Israel or participate in events that serve to equate the occupier and the occupied and thus contribute to the continuation of injustice. Israel has always used culture as an arm of their hasrbara (propaganda) campaign, projecting artists who come to Israel as trophies who support their apartheid state. This ia also reflected in the high fees Israel is prepared to pay for those willing to cross the apartheid picket line. Nissim Ben-Sheetrit, the Deputy Director General of Israel's Foreign Ministry explains "We see culture as a propaganda tool of the first rank, and I do not differentiate between propaganda and culture" (as reported in the Israeli newspaper Ha'aretz, 21/9/05). 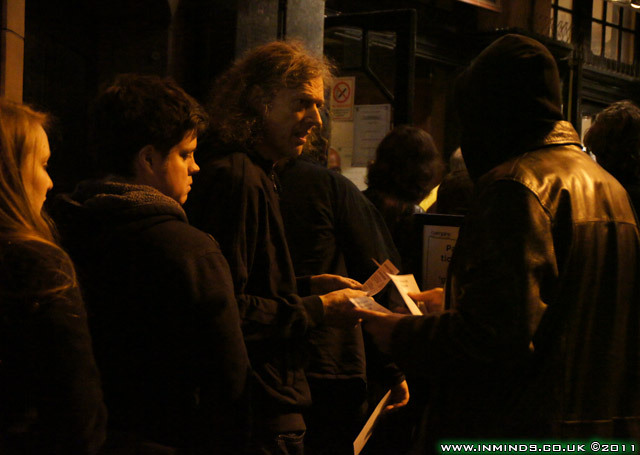 The activists gave out leaflets to Arch Enemy's fans, who seemed keen to enter it to discussions about the situation in Palestine. 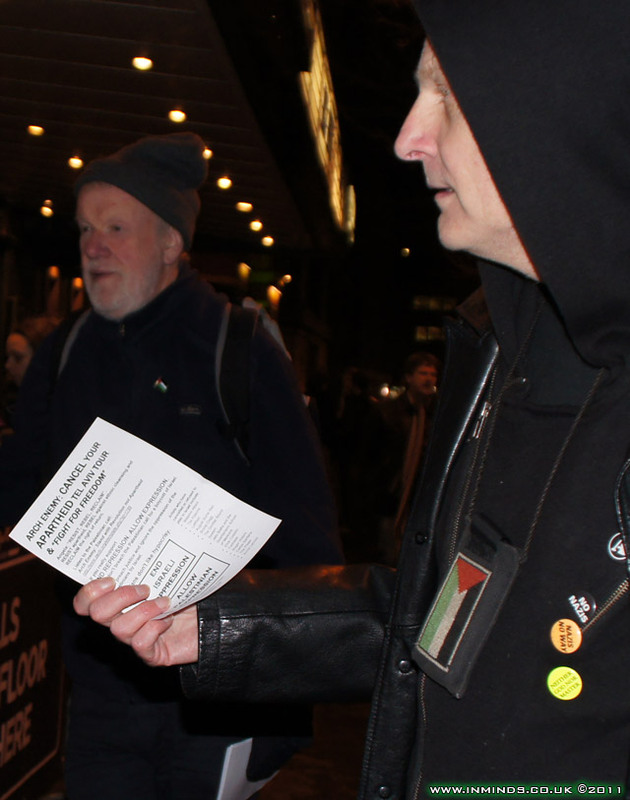 All the fans we talked to were already extremely sympathetic to the Palestinian cause, and were surprised and upset that Arch Enemy were selling out their anarchist credentials to perform for apartheid. 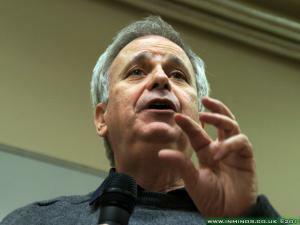 It should be noted that in Israel 'Anarchists Against the Wall' is the leading Israeli group supporting the popular Palestinian resistance to the Israeli separation wall and despite the recent Israeli anti-boycott law which criminalises any boycott of Israel, they are still actively calling for a boycott of Israel. 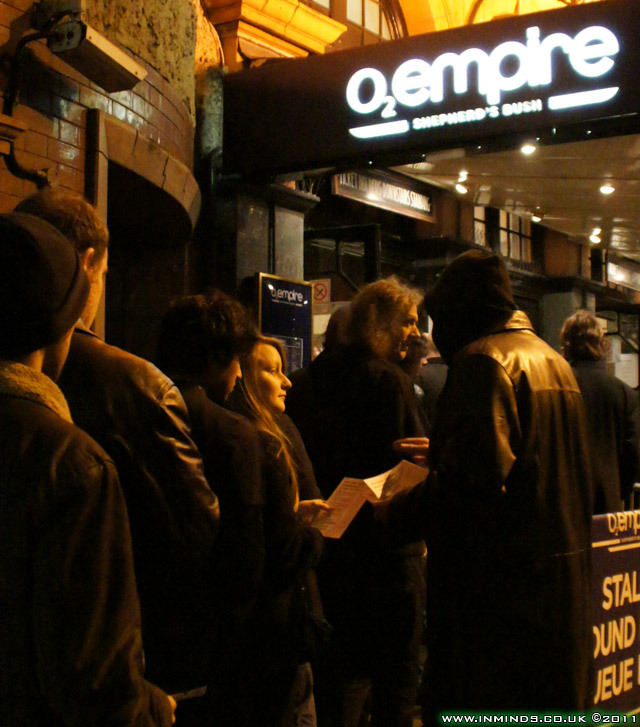 The only criticism we encountered from Arch Enemy fans was that we weren't doing enough. Some fans criticised our protest for being too soft, they said this fan base was already with the Palestinians and our banners, rather than beating around the bush, needed to be more direct. 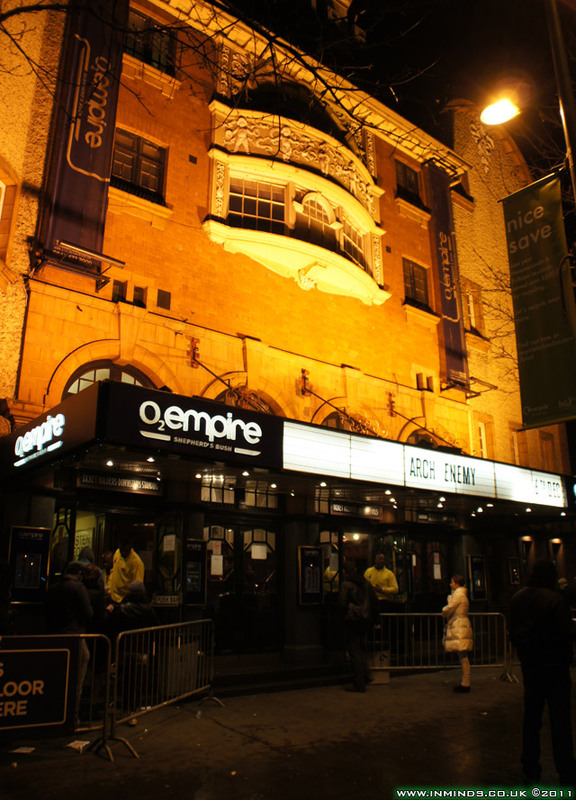 It should have read "Arch Enemy dont f*cking go to Tel Aviv!". Other fans suggested we also need to campaign on behalf of other anti-imperialist causes like the Irish who have always shown solidarity with the Palestinians. A fan suggested a better banner would have been "Arch Enemy dont f*cking go to Tel Aviv!" 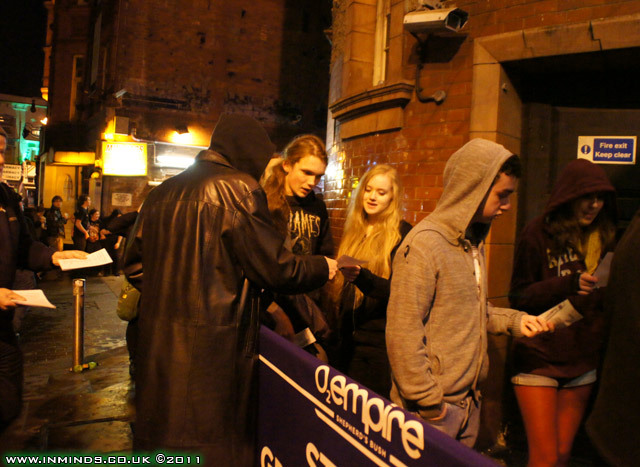 Two discussions with four fans - Arch Enemy fans were very glued up on the issues and welcomes a discussion even if it meant missing some of the concert. 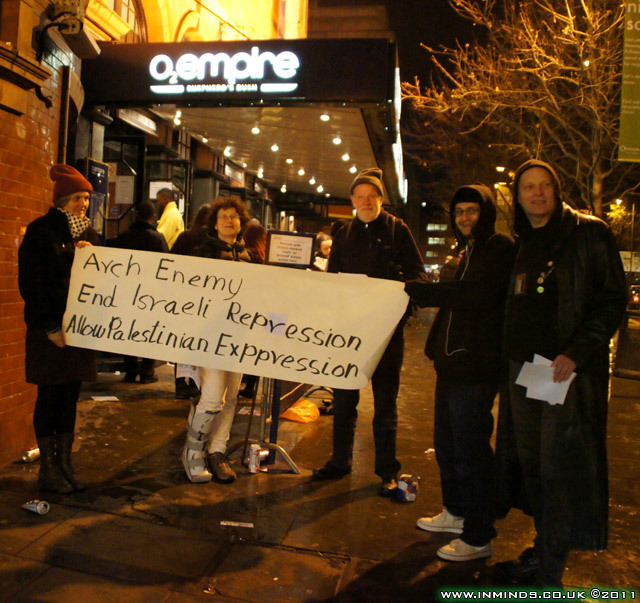 Interestingly Arch Enemy has partnered with Amnesty International to promote "End Repression, Allow Expression". Israel practices rampant repression of every aspect of Palestinian life, from denying them their own water by cementing their wells, to the maze of checkpoints Palestinian children have to navigate through just to get to school, with the racism and humiliation that awaits them at each checkpoint. Survivors of the apartheid regime in South Africa have described Israeli apartheid as doing things "that even apartheid South Africa had not done" (Archbishop Desmond Tutu). As for allowing Palestinians to express themselves, the Israeli siege of Gaza even blocks paper and pencils from reaching the Palestinians. 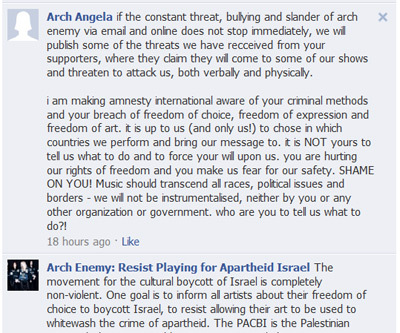 With regards to "allowing expression" it has to be said that Arch Enemy's facebook wall is notorious for censoring any discussion of their apartheid tour, within minutes the posts disappear and people are banned. Arch Enemy's world tour includes venue in Netherlands, Germany, France, Switzerland, Romania, Greece, Turkey, Russia, Finland, Japan, Sweden, Portugal and Belgium as well as Israel. 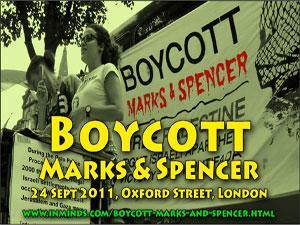 It is envisaged that there will be protests at each of these venues. Arch Enemy has a choice to make, uphold their stated principles of opposing repression and stand with the oppressed and boycott Israel or otherwise sell their principles for a monetary profit made from the suffering of the Palestinians, and pay the price for that betrayal, starting by their name forever being linked to apartheid. South African apartheid ended 17 years ago but I still cannot step inside a Barclays Bank because of its association with apartheid all those years ago.. 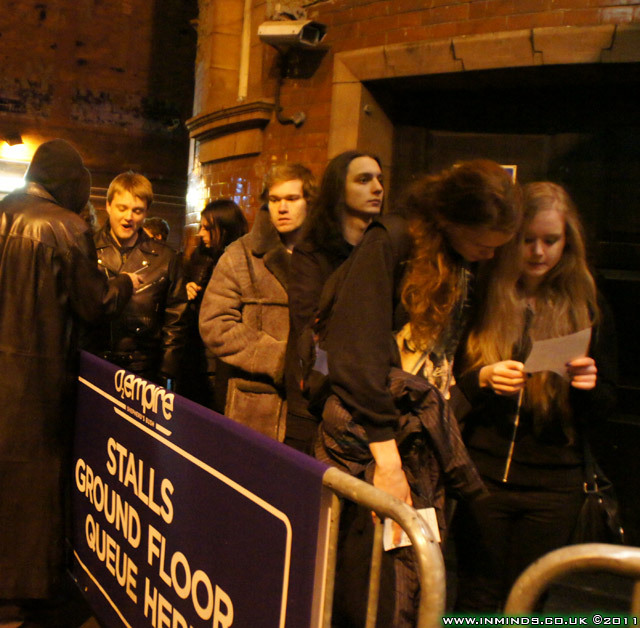 Very impressed by Arch Enemy's fans - not one refused to take a leaflet and afterwards we didn't see any discarded leaflets on the floor. 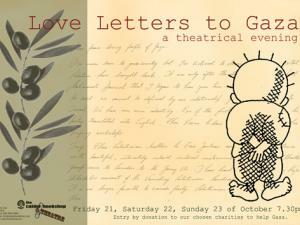 I am writing to you as a fan to ask that you please cancel your scheduled show in Israel for January 24th 2012. I am a longtime fan of Arch Enemy (as well as Carcass I should mention, Heartwork was one of the first records I bought after getting into death/grind back in the early 90s). I was at your last show in Vancouver, Canada just a couple of months ago in September, and it was seriously the best show I attended all year. Aside from of course being a fan of your music, I have also always enjoyed the messages in your lyrics, drawing attention to oppression, injustice, religious hypocrisy, and people struggling for their rights. It was very nice to see the Amnesty International table as well, thus providing an avenue for your fans that have been inspired by your music and want to know what they can do to help make the change that this world so badly needs. I have to say though, given the messaging in your songs and your work supporting Amnesty International, I was saddened to see that you have scheduled a show in Israel. 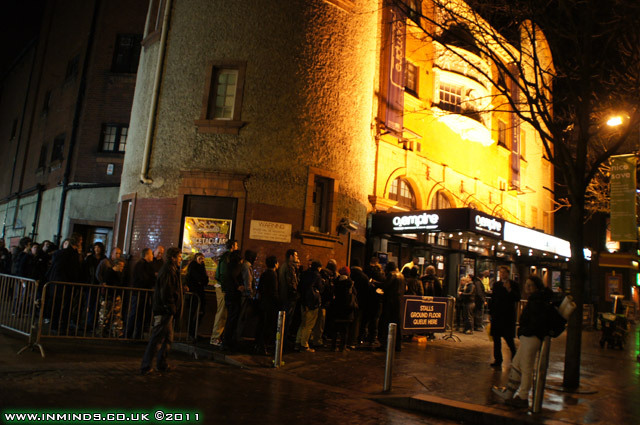 This show is taking place at a time when musicians and artists of conscience all around the world are beginning to heed the call for a cultural boycott of Israel until it complies with international law, a call originally made in 2004 (http://pacbi.org/etemplate.php?id=869). This call was further affirmed by a 2005 statement that was endorsed by over 170 Palestinian civil society organizations, and was modeled on the call for Boycott, Divestment and Sanctions that targeted the apartheid regime of South Africa. 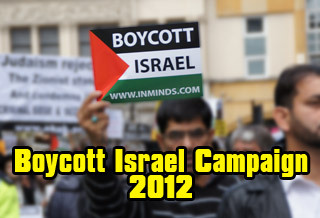 The call can be accessed online at http://www.bdsmovement.net/call. 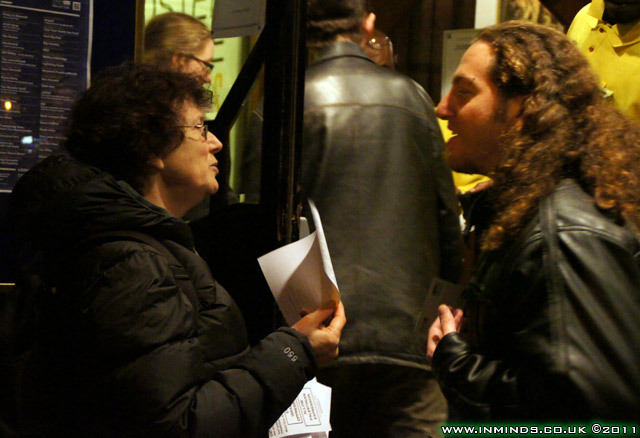 There is also a call specifically to metal acts from an Israeli organization called ‘Boycott From Within, which is (as their name suggests) a group of jewish Israelis that supports the boycott call. You can access the statement at http://boycottisrael.info/content/letter-all-metal-bands, I’m also including it at the bottom of this email for your convenience. 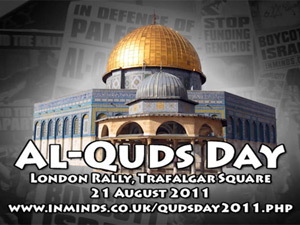 o The unlawful military occupation of the West Bank and Gaza. Israel restricts Palestinian’ freedom of movement and of speech, and their right to an education. Access to their own property, to health care, to their schools, are blocked. 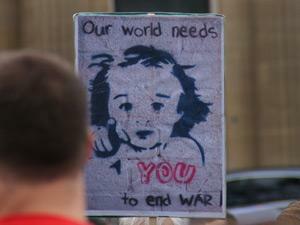 Leaders and human rights activists are imprisoned without a charge or a trial. Over 600 military checkpoints and roadblocks divide and strangle the West Bank. The atrocious “Wall” that Roger Waters has condemned continues to be built, even though it has been declared illegal by the International Court of Justice at the Hague. The “Wall” supports the huge network of illegal, exclusively Jewish settlements that separate the West Bank into isolated ghettos. o Palestinian citizens of Israel are subject to a two-tiered system of segregation within Israel’s borders. They are denied rights that their Jewish neighbors are guaranteed. Inequalities are most striking in issues such as education, land ownership, housing, employment, and marriage. 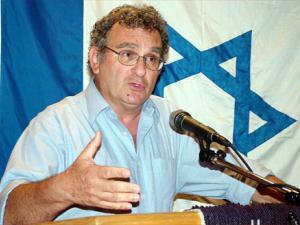 The Israeli system has been compared to former South African apartheid, and to the former “Jim Crow” laws of the American South. o Palestinians in Gaza are subjected to a criminal and immoral siege that began in 2006. Over 1.5 million people live in the open-air prison camp that is the Gaza Strip, one of the most densely populated places on Earth. As part of the siege, Israel has prevented many items from reaching Gaza. Examples of items refused entry include various types of medicines, candles, light bulbs, books, clothing, shoes, blankets, pasta, tea, coffee, and musical instruments. o In 1948, Israel dispossessed over 750,000 Palestinian people in order to form a nation that was intended to be exclusively for Jews. These refugees and their children have an internationally recognized right to return to their homes and lands, yet Israel continues to expel people from their homes in Jerusalem and in the Negev. As a result, today Palestinians comprise the largest group of refugees on earth today, at over 6 million. Like all refugees, they still struggle for the right to return to their homes, and leave the squalor and poverty of the refugee camps in Lebanon, Jordan, the West Bank, and especially Gaza. 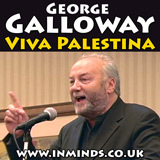 I am appealing to all of you in Arch Enemy, as a fan and supporter of Palestinian human rights, to ask that you do the right thing and respect the ‘picket line’ put forth by the Palestinians who are asking the world to make a stand in solidarity with the oppression that they have been forced to endure, day in and day out for decades, at the hands of Israel. In this regard I think musicians and other artists have a responsibility to take a stand, and to not contribute to the efforts of the Israeli government and its supporters to normalize its apartheid nature. 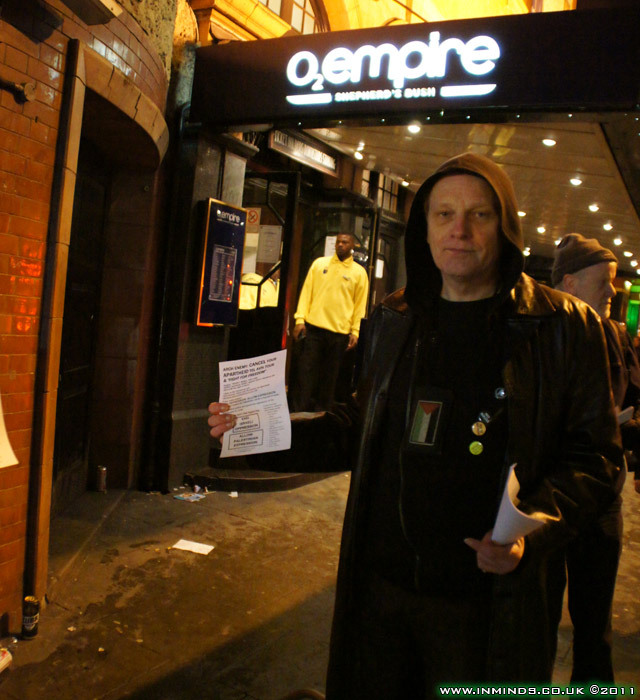 Veteran anti-racism campaigner, badges read "No Nazis" and "Nazis No Way"
We are a group of Israeli citizens who support the Palestinian call for boycott, divestment and sanctions (BDS). We oppose our government’s policies of racism, apartheid and occupation, and we strongly believe that without international pressure, it will be almost impossible to reverse these policies. 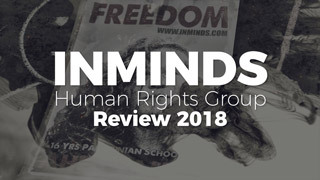 Israel’s attempts to mask systematic human-rights abuses and decades-long oppression against the Palestinians, largely rely on its ability to maintain a progressive and democratic image in the eyes of the international community. It often promotes itself as “the only Democracy in the Middle East”. However, Israel’s apartheid policies are inherent even in something as seemingly light-hearted and joyous as a music show: Palestinian fans of your music living in the West Bank, in a land governed by Israel, are under martial-law and will not be permitted to come to Tel Aviv and enjoy your performance.